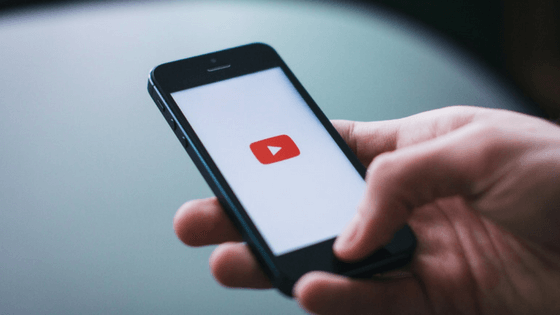 If you’re in charge of marketing something on social media, you should already know that video is currently the way forward. If not, you do now. Pretty much every social media platform is pushing video. Even LinkedIn released a native video feature earlier this year. I apologise in advance for using the dreaded “A-word”, but generally, social media algorithms are pushing video to the top of people’s feeds. There is still a large number of people who aren’t using video because they don’t think they have the skills and tools to create adequate content. This is not the case! There are plenty of cheap (or free) easy to use tools out there to get you started in video marketing. Before the newer tools came out (which I’ll get onto in a bit), people created video content by filming footage with a camera, importing it to their PC and editing it in a video editing software. This is still a more than viable option. iMovie, Lightworks and Hitfilm Express are just a few of the many free editing software available for download. These programmes do require basic video editing skills to produce an adequate video and they are usually used for longer videos such as tutorials. If you’re an Apple customer you can register at your local app store to sign up for free iMovie training courses for both mobile and Mac! These courses will definitely give you the basic skills you need to create a longer, more detailed video. If traditional video editing isn’t your thing, or you don’t even want it to be your thing, that’s absolutely fine. 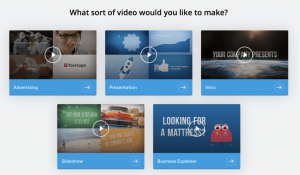 There are a few really useful tools that can help you create fast, professional videos. Let’s just get straight into it. Lumen5 is a fantastic way to promote a new piece of text-based content, such as a blog. It’s so simple to use and actually looks really good. Copy & paste the URL to your blog post into the creator. Select which phrases/sentences you wish to use to preview your blog. A frame will be created for each one. Browse the huge database of images, videos and sounds for each frame. Move the text around and add your own logo. After doing this, you can easily download the end product and use it in any of your social posts. There’s a Lumen5 watermark at the end of the video if you’re using the free version, but there’s nothing wrong with that for small businesses! If you want to upgrade to the “pro” version, you can pay $49 a month for high definition videos and no watermarks, but this isn’t compulsory to use the tool! Biteable is a really professional-looking tool that has an abundance of cool graphics and stock images/videos. It’s a little bit trickier to use than Lumen5 however, the end result is fantastic. If you want to create a promotional video for your company or create a really nice intro to a longer video, Biteable is probably your best option. There’s a huge database of free footage, animations, images and sounds for you to choose from with lots of opportunities to add your own branding. Start a timeline by picking an animation, image or piece of footage (you can upload your own) for each frame. Add your desired text to each frame. Pick some that allow you to upload your own branding. Choose your audio (loads to choose from, seriously). Build your preview and away you go! You can download your video. Biteable really does look very professional and is brilliant to use for a promotion, such as promoting your company and what you do. For example, you could use Biteable to create a video for a display screen at an event such as a business expo. You can easily make it really eye-catching and informative. Biteable costs $99 a year to produce videos without a watermark. It sounds like a lot, but if you really want to create professional, quick and easy videos to promote your brand it is brilliant value. At LikeMind Media, we have used it for video introductions, promotional videos, explanation videos and more. We’re extremely happy with each one. Recording your screen is a great way to share your expertise for on-screen tasks. For example, if you wanted to give your audience a virtual tour of your website, you absolutely could with screen recording software! The standard tool for Mac is QuickTime, which comes readily downloaded. It’s tremendously easy to use, you just open the app and click “start screen recording” and can even record with audio simultaneously if you want to talk to your viewers. When you’re finished, simply save the recording as an mp4 and it’s ready! If you want to add audio or cut bits out, this can be done in iMovie very easily. For Windows users, the process is exactly the same. Simply hit the Windows key + G to bring up the Xbox app and hit the red “record” button to begin! You can make any necessary edits in Windows Movie Maker easily enough. Hopefully, you’ve gained at least a little bit of insight into basic video content marketing. The best advice I can give is to go and test. Test, test, test and test again. Soon enough, you’ll work out which tool is best for you. There are more tools out there similar to the ones mentioned, but we don’t want this blog to go on much longer. I’ve just highlighted my favourite ones to use! Video is what social media platforms and your audience want to see you uploading, so give it a go. If you need a hand with that, we can help!